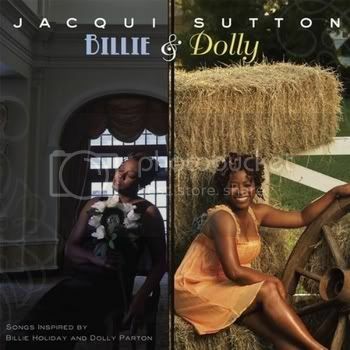 The simplest thing to say is that Jacqui Sutton is a jazz singer, and Billie & Dolly is a jazz album. The band backing her includes drums, stand-up or electric bass, keyboards, trumpet and trombone. Seems fairly normal. But now add flute, cello and banjo. The keyboards are usually piano, but sometimes electric piano, and occasionally accordion. Sometimes, the drums are replaced or abetted by Latin or African percussion. So things are definitely interesting. Jacqui Sutton and Henry Darragh, who plays keyboards and trombone here, are responsible for “musical direction”. They take these disparate musical elements and turn them into something that is both fascinating and coherent. The result is somewhere between classical art songs and jazz. Sutton tops all of this off with a voice that is high and clear. On her website, she refers to her voice as a lyric soprano, and sometimes it is, but she can also reach down and use her voice as more of a jazz instrument. Either way, she finds the emotion of each song with a light touch. And everyone involved sounds like they are having a great time making this music, which makes it a pleasure to listen to as well. The album begins with a version of God Bless the Child, which was one of Billie Holiday’s signature tunes, and has been done by everyone. The closer is Endless Stream of Tears, which Dolly Parton did on one of her bluegrass albums. So those are the Billie & Dolly of the album title, two singers who are big inspirations for Sutton. But Sutton claims these songs for her own. There are no original songs here, but originality is everywhere in the arrangements and in Sutton’s delivery. Many of the songs here will be new to most listeners in any case. Black Hole was written as a science song for kids; as done here, the song is a hoot, but there is also a tale of a relationship in trouble. Sutton manages to smile and also express the heartache at the same time. Lazy Afternoon is the song for me where everything comes together perfectly. Here the love of two people alone together becomes an altered state, in which the rest of the world does not exist. Both Sutton’s delivery and the arrangement make this happen. Elsewhere, Those Memories of You turns into an exuberant New Orleans dance party. Mississippi Song is a short song to be split as it is into three movements, and the arrangement does a fine job of evoking a raft ride down the Mississippi River. Endless Stream of Tears has Sutton singing in an alto range, with occasional octave jumps into her usual soprano. This turns out to be great idea for Sutton; Her voice in this low range is at its most expressive. In fact, the two songs that proceed it, Mississippi Song and A Sleepin’ Bee, find Sutton singing at the very top of her range, and these are her weakest vocals on the album. Of course, her weakest is still pretty good, but I wonder how these songs would sound sung lower in her range. This is Sutton’s first album, so, from this wonderful beginning, she‘s only going to get better. The future looks bright indeed. You can call me innocent, or naïve if you like, but I always loved this song without knowing what it was about. Cold Blue Steel and Sweet Fire presents a fairly ugly reality, and a figure appears who offers release into an alternate reality. I always got that. 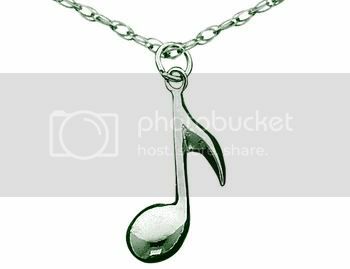 The music has a sensual feel, making the offer appealing, but there is also a sense of danger. I could not have articulated this at age 16, when I first heard the song, but the “lady of release” seemed to me to be a supernatural being who was enticing the listener to embark on a journey to the underworld. The victim, or recipient of this gift, depending on how you look at it, might emerge better or worse from the journey, but would certainly be irrevocably changed. Now, I can see that the song is about heroin addiction. Much of the language that I thought was figurative is meant literally. Both the allure and the danger are very real. And the journey is one the traveler may well not survive. But come to think of it, was I really that far off? I should note that I have never so much as tried heroin, or even many other drugs. I do not mean to judge anyone else or the choices they have made when I say this. I got a bad scare when I was too young to have gotten into drugs, and it wound up keeping me safe. Otherwise, I cannot say that I would have done better than anyone else. I reviewed Red Molly’s last two albums here and here. Then, I saw them live and got to meet them at the Falcon Ridge Folk Festival over the summer. That was their last performance with the original line-up. 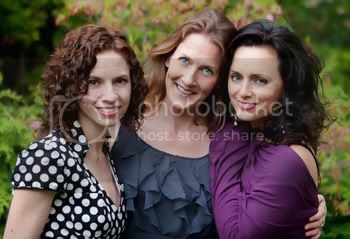 Carolann Sollebello has left the band, and Molly Venter has taken her spot. There is no replacing Sollebello’s contributions to the band, and Laurie MacAllister and Abbie Gardner were wise enough not to try. Molly Venter brings entirely different qualities to the group, and I was eager to see how that would work. Thursday night, I got my chance, and I am thrilled to report on the results. Since there is no recording as yet of this new line-up, I am presenting a sample of their work as solo artists. I also have for you songs from the opening acts. 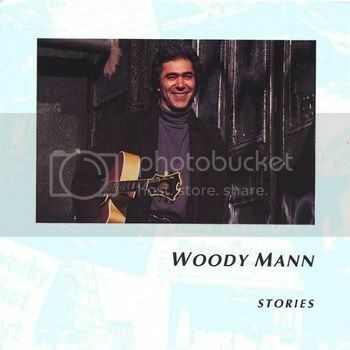 Woody Mann was not on the bill, but he came out first to warm up the crowd. I came in late, and only heard his last tune, an instrumental. Mann was playing a national steel guitar, and putting it through its paces. Just as he does on East Side Story, he set up the basic structure of the song, and then played with it. 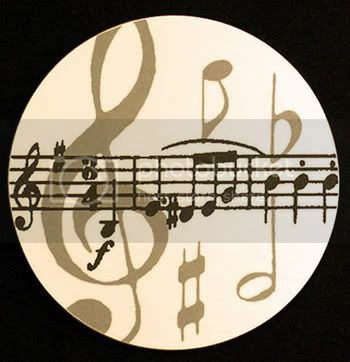 His notes and chords fall around the beat, and everything is a tune with variations. None of this is just for show however. 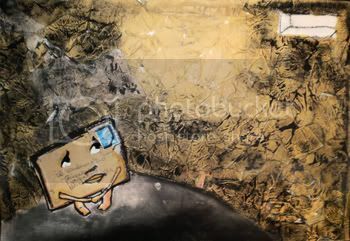 Mann always has the emotion of the piece in mind, and his improvisations help to tell the story. Later in the show I saw, Mann came back on stage for a jam on the grand finale. Here, he proved to be both a fiery soloist and a skilled and supportive accompanist. I only discovered his voice and his songwriting on the album I took home; they are quite a bonus. Pat Wictor was the official opening act. Wictor is a blues-based songwriter and guitar player with a folkish tenor voice that he knows how to use just perfectly for his material. His set was another discovery for me, and I will be keeping track of his career from now on. During Red Molly’s set, Abbie Gardner called Wictor up for a song, and everyone else left the stage. Wictor and Gardner, after calling themselves “jazz heads”, proceeded to perform A Little Love is Gonna Do. It’s hard for me to call the song a highlight of a show where almost every song was a highlight for me, but I don’t think I stopped smiling the whole time they did this one. 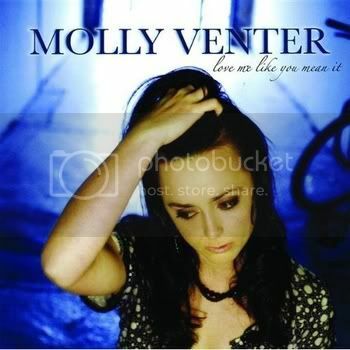 Molly Venter brings a soulful voice and a rocker’s intensity to the group. To imagine Red Molly doing Happier Now, start with the intro you hear in this version, with voice and acoustic guitar. Now, instead of the rock arrangement heard here, add just dobro and bass, plus harmony vocals on the chorus. Thursday night, the song really came alive. Venter’s voice is powerful, but she also knows how to blend in beautifully with the other voices in the group, and on a lot of songs she had to learn in a short time. She also took the lead on a great cover of Fever, which I hope the band plans to record. It was a blast. Honey on My Grave is one of my favorite songs that Red Molly does. 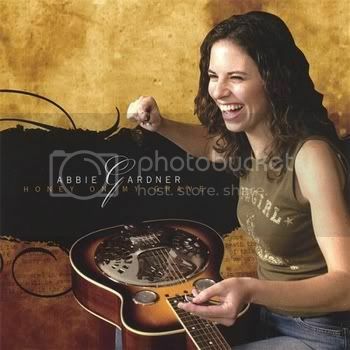 The song emphasizes Abbie Gardner’s bluesy side. Gardner’s solo version is more intimate than the way Red Molly did it Thursday, but either way, the song comes through beautifully as bluesy prayer. 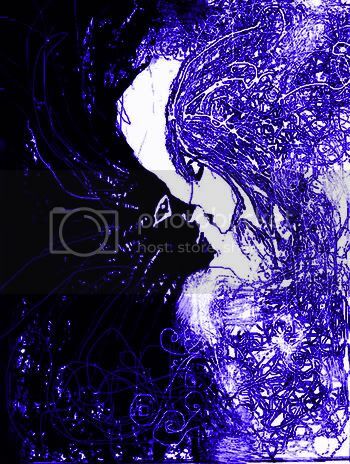 Laurie MacAllister: Where Goes My Love? 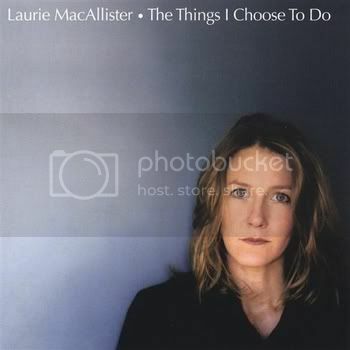 The only solo work I have from Laurie MacAllister is the album The Things I Choose to Do. 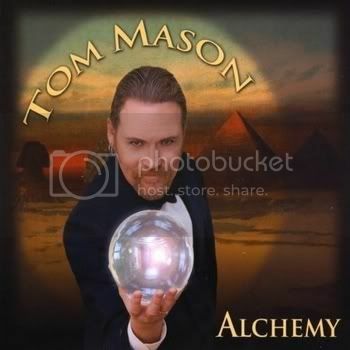 This is an album of all covers, and it shows a side of MacAllister that I don’t see much of in Red Molly. So I am including Where Does My Love Go? In this post for two reasons: , MacAllister is an essential part of Red Molly, so it wouldn’t be fair to leave her out; and besides, the song is incredibly beautiful. If I had to give a name to the style in which the song is arranged, I suppose I would call it Western chamber folk. One thing that does carry over from here to MacAllister’s contribution to Red Molly is the tenderness and delicacy of her vocals here. Although not always the feature of a Red Molly vocal arrangement, this quality is the glue that holds many of their songs together. Chris LaVancher just launched his Kickstarter campaign to make his debut album. LaVancher writes songs that tell stories of love among the ruins. His characters may not be from the highest rungs of society, but their feelings come through loud and clear. 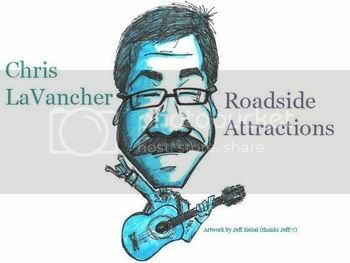 LaVancher’s guitar playing has the feel of the best acoustic blues, although it is not blues exactly. 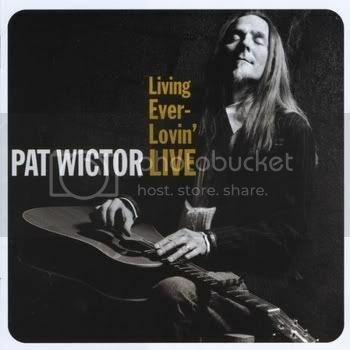 His folky tenor voice completes the package, and his songs really shine through. On his Kickstarter page, LaVancher has set a modest goal for his drive. He talks about having an idea in his head about how the album might have sounded, and about having to scale back his plans in the face of financial realities. I hope LaVancher can smash through the goal he set for this drive, and make the album he first heard in his head. That doesn’t have to mean that he gets Willie Nelson to duet with him, however. 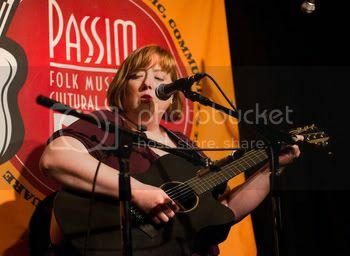 Kim Davidson and Kristi Martel still need your help to make their albums. So does Mary Bragg. Thank you for whatever you can do. I have been reviewing albums here for almost two years now, and I have collected albums for far longer than that. But here is a situation I have never encountered before. 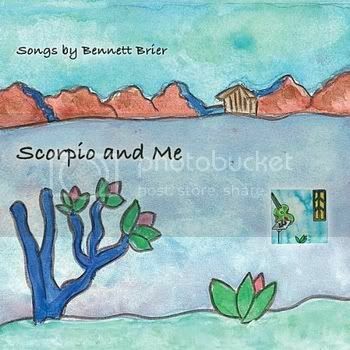 Scorpio and Me is the new album by Bennett Brier, bur Brier does not play or sing a single note on it. I researched, and I discovered that Brier has done this once before. Anthem came out in 1999. On that album, a variety of artists performed Brier’s songs, and I think they did pretty much whatever they wanted with them. So Anthem has some folk, some rock, some songs that are on the country side; it’s something of a hodgepodge. But Scorpio and Me is another matter. Brier basically doesn’t record his own songs because he feels that he can not get them to sound how they do in his head. On Scorpio and Me, Jay Sims and Stephen Doster set aside their egos, and give Brier the sound he was looking for. Jay Sims plays rhythm acoustic guitar, and provides a solid foundation for these songs. Sims also provides the vocals, singing in a baritone that can be smooth or have a scratch in it, as the song requires. Stephen Doster plays lead acoustic guitar, and his lines and solos eloquently comment on Brier’s words and Sims’ delivery of them. And that’s it for arrangements. The two guitars both have steel strings, and there are no other instruments. The songs are mostly midtempo, so there isn’t a lot of variation in the sound. Scorpio and Me is a collection of fourteen songs, totaling just over an hour of music, and its musical pleasures are subtle. This is not good driving music, but it certainly does reward close listening. Then there are the words, and this explains why this album was made. Bennett Brier is a poet. The songs here tell stories, or parts of a longer story. Brier leaves blanks in the telling for his listeners to fill in. I will discuss what some of the songs are about, but I have no doubt that other listeners will here them differently. For me, the fulcrum of the album is the song Harsh Unto My Eyes. The songs before this tell of stormy relationships and breakups. Anna Tennilee has a narrator who was pulled away from the woman he loves by the demands life, and now he returns, only to find her gone; he tries to pick up her trail, but the outcome is uncertain. Don’t Do Those Things You Do isn’t a breakup song, but it has the tone of one. It isn’t clear why the narrator wants to stay. Interspersed with these are some songs of encouragement or faith, but these don’t relate to the relationship per se. One of these is Harijan. I was unfamiliar with the term, so I looked it up. Dalits is a term that is used in India and Pakistan to refer to an underclass caste that was considered unsuitable for relationships; Gandhi, however, called such people Harijan, which means “children of God”. So Harijan the song is about breaking down barriers to let love through. Harsh Unto My Eyes starts with the narrator contemplating a winter scene that reflects his emotions; he is in mourning for a relationship that seems dead. But halfway through the song, something happens to him; he thinks back to a spring scene when the relationship was better, and he remembers seeing the birds. For the last two verses, it is winter again, but now the narrator has become a bird himself. He thinks of flying away, but can not decide to where. The song ends with him in the cold nest, but with new hope. This looks strange in print, but remember that Brier is a poet; he makes it work beautifully. The remaining songs on the album are about how the relationship is saved. There are rough spots, but there are also eloquent expressions of love. Baby You’ll Only Do Good mirrors Don’t You Do Those Things You Do, but the anger in the earlier song is now replaced with faith and encouragement. The album ends with Joined Unto Thee which quietly celebrates the newly cemented relationship, but does not take anything for granted. It’s a happy ending, but a realistic one as well. It all adds up to a wonderful piece of storytelling. I will look forward to the next cycle of songs from Bennett Brier. And I will be looking to find out more about Jay Sims and Stephen Doster. A song chain is a game. It’s a variation on word association. We all played that as kids, where you call out a word, and the next person calls out the first word they think of. So think of a song, and then the next song you think of, and so on. Let me show you how it works. My wife and I were talking earlier today about trying to find a concert or something special to do, just for the two of us, for a treat as the holidays approach. We did this a few years ago, and our treat was a Richard Thompson concert. He doesn’t get to area again until March, so we’ll have to do something else this year. Usually, my posts of Thompson’s songs, both here and on Star Maker Machine, tend to focus on his softer side. Songs like Beeswing and Vincent Black Lightning show off Richard Thompson the storyteller. But the man can also flat out rock. Crawl Back is a fine example. Take the words literally, and the song seems to be an apology by a man who feels that he has let his lover down. But Thompson’s delivery makes it clear that this is actually a brush-off song. He’s telling her that her standards don’t suit him, and he’s gone. It’s powerful stuff, and one side of Thompson at his best. Thinking of Richard Thompson reminded me of one of my favorite covers of his songs, King of Bohemia as performed by Linda Ronstadt and Ann Savoy. I’m partly posting this as a kind of apology to readers of Star Maker Machine. Quite some time ago, I posted this song there. At the time, I was having problems with my file host, and in the end, I actually had to change hosts. The result was that this song was only up for an eye blink, and many people may have missed it. So here it is again. This time, my hosting situation is solid, so everyone should have a chance to hear it. You can read my original thoughts on the song Here. …Beausoliel. It isn’t usually hard to match an artist to the best venue for their performance. There should be good acoustics, and some acts may need a piano. Usually, the hardest thing is deciding how large an audience you need room for. But I once saw Beausoleil, and there was another consideration. Symphony Space in New York City is a nice mid-sized hall where I have had the great pleasure of seeing some of the operettas of Gilbert and Sullivan. The problem for a Beausoleil show there was the fact that the seats are bolted to the floor. This is not a band to sit and listen to. Seats or no seats, everybody got up and danced in the limited space in the aisles. We were most likely in violation of the fire codes that night. It was a great show though. …this one. Black Magic Woman is the song that was a hit for Santana back when. But it was written by Peter Green, for the blues band he was in at the time. Perhaps you’ve heard of Fleetwood Mac? Green was one of the founders of the band, but he didn’t stay long, and he was long gone by the time they reached the height of their popularity. Green had some serious problems that kept him out of the music business for many years. But by 2003, Green had a band, and he revisited some of his old material. I like his vocal on this remake better than the Fleetwood Mac original. The song as done here is also twice as long as the original version. Although this is a studio recording, it has the feel of a live jam, and a fine one. The picture above may look familiar. 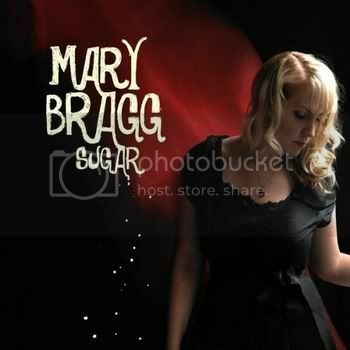 I reviewed Mary Bragg’s last album Sugar here, and I included the song Sweet Skin. Listening to it again, I am struck by the way Bragg combines the funky bass line with the bluesy harp and vocal. It really works. I don’t have any songs to share from Bragg’s next album at the moment. She is raising money to record it, by way of a Kickstarter campaign. I described how that works last week, but the key point is that Bragg needs to hit her goal by her deadline, or she gets nothing. So I ask anyone who can to please help. Thank you. Love’s Not Through With Me Yet opens with electric guitar, acoustic guitar, piano, and electric bass. Darrell Scott comes in with a vocal that it is full voice, and higher in his range than much of what we have heard before. By the chorus, there are drums and organ in the mix. Welcome to disc two of A Crooked Road. This is the rock album. Granted, much of it would qualify as folk-rock. But this is a different approach to making music than we heard on disc one. Darrell Scott the rock singer doesn’t use the lower end of his range nearly as much, and there isn’t much breathiness in his voice. But he still is a very emotional singer who is never overwhelmed by the fuller and louder arrangements here. Actually, many of the songs are mostly quiet, with brief moments where they swell, but then turn soft again. The dynamic shifts are, in fact, one of the treats of disc two. Oh Sweet Longing is a fine example of this. The song is almost seven minutes long, and the percussion shows up briefly about half way through, and then subsides. The full band only returns at the end of the song, with a rideout that includes an electric guitar solo. All of this serves a lyric of longing, and the dynamic ebb and flow of the song suits the subject beautifully. Only Snow Queen and Drama Lama is an all-out rocker, with drums, bass, and two electric guitars in the classic rock line-up. The lyrics on disc two are the other major shift. Where disc one’s songs mostly told stories, those on disc two capture a moment in time and take a snapshot of their narrator’s emotional state. Only Snow Queen and Drama Lama tells a story, and where the tales on disc one are more literal, this one is told in metaphor and symbolism. But for the snapshot approach, check out Where the Spirit Meets the Bone. Here, a couple have reached the point where their feelings have been blocked up for some time. The song captures them at the moment where they are breaking up, and their feelings become unblocked in a flood of emotion that comes too late to save the relationship. Everything from the musical setting to Scott’s vocal delivery captures this perfectly, and it’s powerful stuff. Over the years, I’ve heard many artists who made beautiful mellow music, but who reached a point where they felt, or were told by their record label, that they had to beef up their sound, and it just didn’t work. Likewise, there are rock artists who have embarrassed themselves in search of a softer sound. 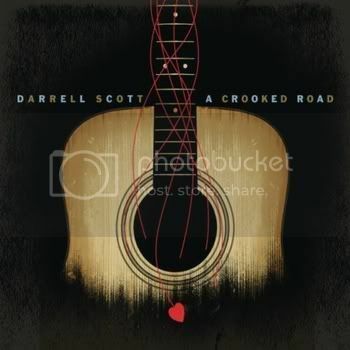 On A Crooked Road, Darrell Scott has complete artistic control, and he shows himself to be the rare artist who can do mellow and rocking equally well. That he does this as both a writer and a performer is even more remarkable. And if the listener is only in the mood for one style or the other, A Crooked Road gives you the choice. Just make sure you get to both discs eventually. It’s well worth it. Last week, there was no album review, and instead, there were two For a Song posts. Darrell Scott’s new one, A Crooked Road, is the album I wanted to review. A Crooked Road is a two disc set with almost an hour and a half of music, and it was impossible for me to find the time to listen to the whole thing on Halloween weekend, which is always a busy time in my house. Finally, late last week, I found the time. And I discovered that each of the two discs in A Crooked Road has a distinct character to it. Roughly speaking, disc one is the folk album and disc two is the rock album. That’s an oversimplification, but the point is, I decided to review each disc separately. So here is my review of disc one, and the next post will be disc two. This week, then, there will be no For a Song post. It is my policy to post two songs from each album I review, so the review of each disc will only have one song each. Each disc of A Crooked Road contains ten songs, including two brief instrumentals. The songs on disc one feature either acoustic guitar or piano in the arrangements, with other instruments supporting them. The credits on the album don’t identify the other instruments, indicating only that all songs are “performed” by Darrell Scott. That might mean that Scott plays all of the instruments, but I’m pretty sure that I hear female background vocals in at least a couple of places, so perhaps there are other musicians on the album as well. On disc one, there are drums and electric bass in a couple of places, but also banjo and mandolin. A couple of songs have what I believe is an accordion, but it is played in an unusual way, using mostly the lower keys to set up a bass drone. Only one song, Take Me Back to Yesterday, uses no acoustic instruments that I could tell. This song comes in the middle of disc one, and breaks the mood to powerful effect. The electric instruments are played in what I would call an acoustic way, with minimal distortion, and no screaming lead lines. Darrell Scott proves himself to be a flexible singer. He often uses the low end of his baritone range, and goes for a breathy sound. But he knows how and when to use a fuller voice, and when to sing higher in his range, and this allows him to be a very expressive singer without ever getting strident. I reviewed Scott‘s last album, Modern Hymns, and that was an album of covers, and my introduction to his work. So A Crooked Road is my introduction to Scott’s songwriting. All of the songs on both discs are originals, including three cowrites. On disc one, Scott proves himself to a wonderful storyteller. The title track opens A Crooked Road. Each verse and chorus of the song includes slight changes in the lyrics from the verse and chorus before. Scott uses this technique to trace the arc of a relationship, from first meeting to old age. It works beautifully. Elsewhere, Scott uses more conventional lyrical structures, but the storytelling works just as well. As a father myself, I was particularly moved by A Father’s Song. The father in this case is a touring musician who must find the balance between his career and his desire to be with his children. Candles in the Rain (Childless Mothers) is a cowrite with Suzy Ragsdale, and seems to be told from a woman’s point of view. Scott gives a wonderful performance here that really brings his narrator to life. For Suzanne, the song I decided to feature, is a song that Scott wrote by himself, and it starts from an amazing concept: what would happen if Scott met the Suzanne that Leonard Cohen and other songwriters have written about? Scott describes a brief passionate affair that leaves him concerned about her, and still very much in love. He introduces the song by letting us know that sees her differently than others have, and his words bear that out. This is the song, for me, that shows Darrell Scott to be a songwriter with a wonderful imagination. The arrangements is simple, with mostly just guitar and accordion, and it too is perfect. Disc one of A Crooked Road could easily stand on its own, and it’s a wonderful album. I’ll have my review of disc two later this week. Stay tuned. It used to be a simple matter to make an album. You would play your music live, get discovered by a major label, and then do whatever they told you. Later, it became possible to be discovered by an indie, and have the majors come calling after you proved your music would sell. Nowadays, it’s different. Now you get the word out that you want to make an album, ask for donations to pay for it, and go when you have enough to cover your budget. Then, you put the thing out, and hope that enough people hear it that you can give up your day job. The expectations are lower, but the trade-off is total artistic freedom. I started this blog hoping I could help some of this music to be heard, I only just realized that I might also be able to help some of it get made. So, from time to time, I will be posting features that include appeals to help artists make their next album. All of the artists in this post made, or hope to make, their latest album this way. The last two need your help. I hope my readers enjoy this music, and I hope those who can will be generous. Full disclosure: I am not receiving any financial compensation for doing this. I do hope to have the completed albums here in the future, so I can tell you how they came out. Below, I describe the workings of ArtistShare and Kickstarter. Any errors in these descriptions are my own, and if anyone from either of these sites would like to leave corrections in the comments, please feel free. As I said, artists have the option these days of raising the money themselves to make their next album. There are services to help them do this, and one of those is artistShare. I will describe how it works, as I understand it, but I’m not sure I have everything right. The best thing to do, if you’re interested, is to follow the link and find out on their site. ArtistShare asks for submissions, and then chooses which ones to carry on their site. Fund raising drives are open-ended, ie there are no time limits to raise the funds. They tend, from what I saw, to favor projects with a jazz flavor, but they use a pretty broad definition of jazz. The albums come out on the ArtistShare label. 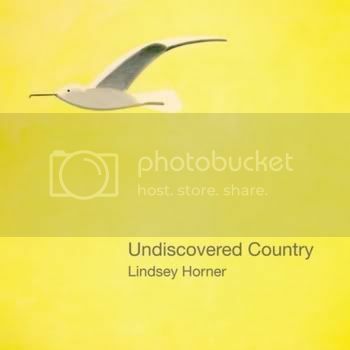 Lindsey Horner is an artist who used artistShare for his new album, Undiscovered Country. The music here is certainly jazz, but some of the instrumentation is folk. On the evidence of this album, Horner’s groups don’t generally include a singer, but this album has a wonderful surprise: the great Irish folk musician Andy Irvine appears on two songs. Irvine is known not only for his solo work, but also for the music he made first in Planxty, and then in Patrick Street. Here, Irvine sings and plays bouzuki over a folk-jazz arrangement. It sounds like what Pentangle might have done if their classic line-up had stayed together. There is more of an emphasis on jazz on the rest of the album, but it also works as whole. Another service that helps artists raise money for their projects is Kickstarter. Projects here can be albums, books, movies, or just about anything that can be considered an artistic endeavor. The artist creates a video describing the project, and sets goals for how much they want to raise, and in how much time. 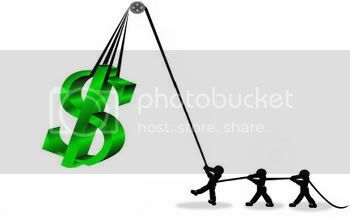 If the artist meets or exceeds their goal by the deadline, they get the money; otherwise, the donations are returned, and the artist sees nothing. As with ArtistShare, I may not have all of the details right, so it would be best to go to their website for more information if you’re interested. Melissa Stylianou and the next artist in this post, Sarah Blacker, recently completed successful campaigns on Kickstarter. Stylianou is an elegant jazz singer who also does a wonderful job of putting over the emotion of each song. Her albums are a mix of covers and originals. The covers include standards, but she will also do something like the Police song Tea in the Sahara, which was on an earlier album. Her originals stand along side the covers as equals; she is a gifted songwriter. Sliding Down, the title track of her most recent finished album, is a cowrite with Edgar Meyer, and that came out every bit as well as I would have hoped. More often, her cowriter is Kim Ratcliffe, who plays acoustic guitar in her band. Stylianou handles the lyrics, and is a poetic writer; Ratcliffe creates musical settings that play to Stylianou’s strengths as a singer. Three Little Girls is a perfect example of how this works out. The national steel guitar is an instrument that I’m not used to hearing in jazz, but it is a real treat here. The song also has a vaguely Middle Eastern feel to it; this comes up in Stylianou’s music from time to time, and it works beautifully. 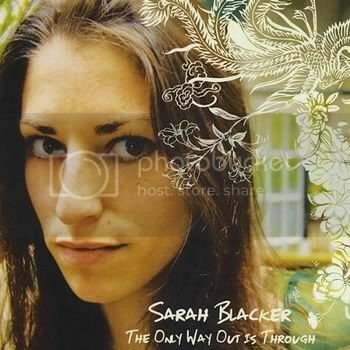 I first heard the voice of Sarah Blacker on Keegan McInroe’s last album. There, I was impressed with her power. But, in her own work, Blacker shows that she can also get excellent result with a more restrained vocal delivery. Her voice is clear, and here she shows tenderness and even a hint of humor in her delivery. Elsewhere, she rocks out or uses fuller arrangements, but Early Girl has just accordion and Blacker’s acoustic guitar for accompaniment, so Blacker must carry the song with her vocal. She is more than up to the task. This earlier album shows a wonderful stylistic range, but it also makes sense as a whole. Finally, here are two artists who are raising money directly from their fans, with no third party involved. I have provided links for those who would like to help. I would like to feature more artists like this in the future. If you are raising money for your next album, or you know someone who is, please let me know. Artists who are planning to use ArtistShare or Kickstarter or a similar service should let me know in advance of beginning your campaign if possible; that will give me the lead time to coordinate my post with your campaign. 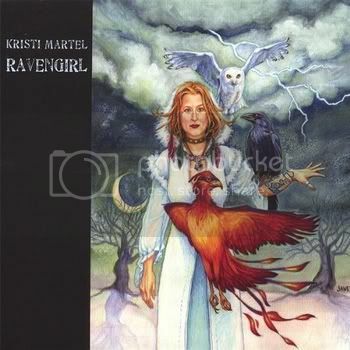 Kristi Martel has funded three previous albums this way, of which Ravengirl from 2006 is the most recent. So she has been doing this for a while, and she has a fan base to work from at this point. Martel is a fine piano player and singer, who works through some pretty intense feelings in her songs. I’m about to tell you some things about her that are very private for most people; I only feel free to share them because Martel has already done so in the liner notes to Ravengirl. Martel escaped from an abusive relationship after four years. Later, she had a lover who committed suicide. These are things that stay with you, and Martel works through them with her spirituality and her music. In the past, that meant spare arrangements that emphasized haunted piano parts and Martel’s voice. Ravengirl was the first album Martel did after her lover’s suicide, and here she makes use of fuller arrangements. The piano is recorded without the reverb Martel favored in some of her earlier work. The overall effect is one of intimacy. Here is a friend who is still in pain, but she’s going to be OK. On Ravengirl, Martel also shows herself to be a creative arranger. She knows just how much percussion a song needs, and the interplay on some of the songs between the piano and acoustic guitar is wonderful. I want her new album to get finished, because I want to know what happens next. I want to hear her take the next steps, not only in her musical journey, but also in her emotional and spiritual ones. Kim Davidson faces the greatest challenge of an of the artists in this post. She has been gigging, but she is working on funding her debut album. On the other hand, Davidson’s music might take her the furthest of any of the artists in this post. That’s because she can write and perform perfect songs like My Heart Will Always Come Back to You. There was a time when Davidson could have just gotten this song into the right ears in Nashville, and it would have been a massive hit for some country artist. Nowadays, the song is either country or Americana, depending on who makes it famous. I hope someone does, because this is a song that deserves to be heard. And it would be best of all if that someone is Davidson, because she sings the heck out of it. She also gives it a perfect arrangement, with none of the overproduction that mars so much of what comes out of Nashville. Davidson sent me the four finished (?) tracks she has for the album, so I can tell you that there is more where this came from. I would just like to add that I really like all of the songs in this post, all for different reasons. I don’t want to put Davidson’s song on a pedestal, above the others. I just think that it has the greatest commercial potential. This week kind of fell apart for me. So, the album review will return next week, and in the mean time, here is another For a Song. One thing that happened is that the election has sparked a political argument on my Facebook page between myself and a guy I grew up with. The details don’t matter here, but it reminded me of something. I used to have a friend who worked in a record store. I would hang out there after work, and we would talk about music. His tastes ran towards pop, and his favorites were Hall and Oates. My tastes were more eclectic, then as now. Each of us believed that we could turn the other on to something that they would really like if they just gave it a chance, and occasionally it worked. More often, it led to us getting very loud. I took the woman who would later be my wife to meet this friend one day, and things went as they normally did. Later, she asked me why I went in there if we hated each other so much. From this, I learned that it’s a guy thing. Since then, I have had this kind of friendship a few other times, and the “arguments” have been about sports or politics usually. We unite over our total disagreement with each other. I can only say that these friendships are real to us, no matter what they look like to outside observers. Getting back to my record store friend, In early 1989, he presented me with a cassette tape of his “best songs of 1988”, so I had to make my version for him. I Feel Possessed by Crowded House was on it. Not the song so much, but Crowded House became one of the groups we both liked. This was a band that could achieve a soaring emotional quality in their songs and singing, without having to resort to a heavy handed production style. I Feel Possessed has the slight reverb that was found on so many records in the 80s, but that’s about it. The rest is a great song performed perfectly, and that’s why it stands up so much better than much of the music of that year. 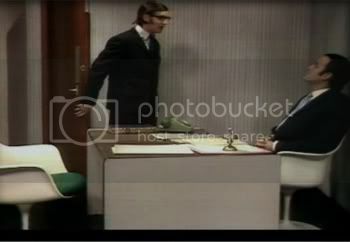 By now, if you recognize the image I chose for this post, you’ll know exactly why I chose it. Sometimes, I try to do too much. I have an album that I wanted to review this week. It’s a two-disc set with almost an hour-and-a-half of music, and I set out to work on it on Halloween weekend. It didn’t work. So I’ll have that review next week, while I have a different album that is much more manageable for mid-week this week. Meanwhile, here is this week’s For a Song. Here in the United States, we have an election tomorrow. I am frankly dreading the results, so I wanted a song to take my mind off of it. A perfect pop song would do nicely. There is a vast amount of pop music out there, some of which is actually popular, and some of which was supposed to be popular but wasn’t. There is also a significant amount of great pop music that just never reached as many people as it should have. 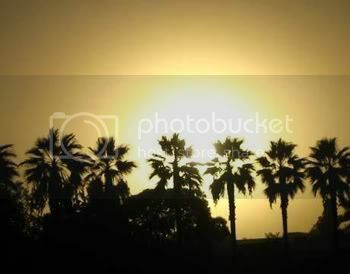 The Sun in California is a fine example. The song is a breezy love song, expressed delicately, but performed with complete sincerity. There is a beautiful blend of voices. Acoustic guitar and piano parts intertwine, propelled along by light drums and bass. I believe that’s a clarinet part on top, and it works beautifully. So why wasn’t this a huge hit. Probably because it wasn’t obvious enough. Much of what succeeds in pop is overwrought, with heavy-handed production and over singing. But I’d rather hear this any day. Incidentally, The Autumn Defense has a new album coming out tomorrow. I’ve only heard snippets of some of the songs, but it sounds pretty good too.